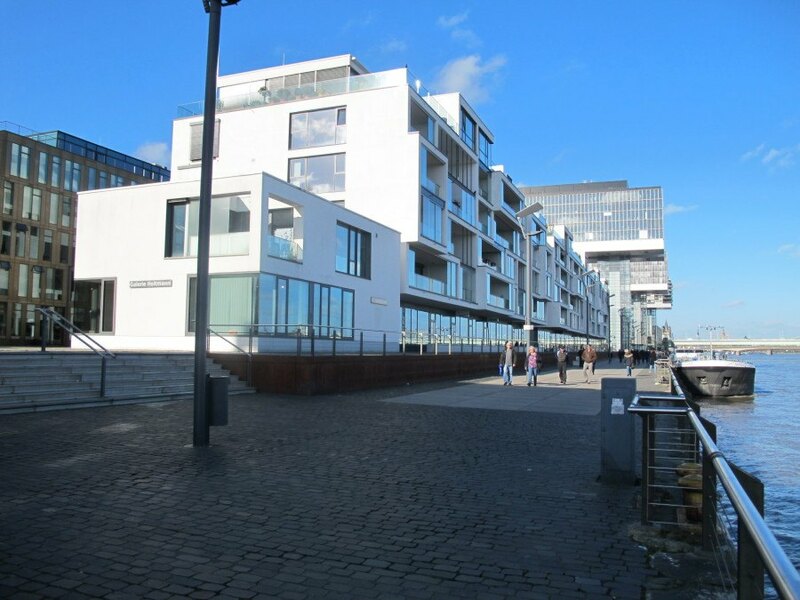 Architectural tour to the harbor on the left bank, in prolongation of Cologne’s Old town: Transformation of a former industrial zone into a new quarter for living and working at the waterside. 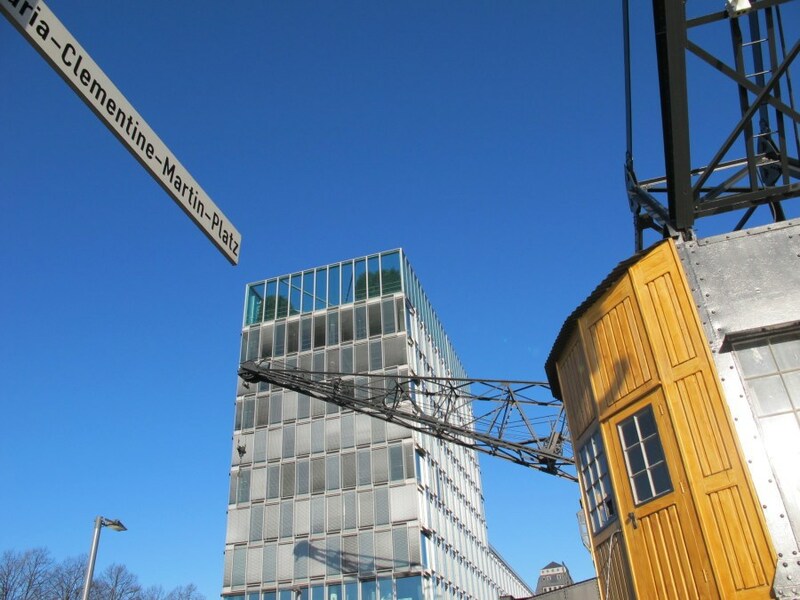 The three crane houses by Hadi Teherani shape the riverfront of the former customs port from the 19th century over a long distance. 235.000 sqm, 700 condominiums, 2000 new working places, offices for high tec and lawyers’ firms, galleries, restaurants, Europe’s longest underground car park – and a skater park. 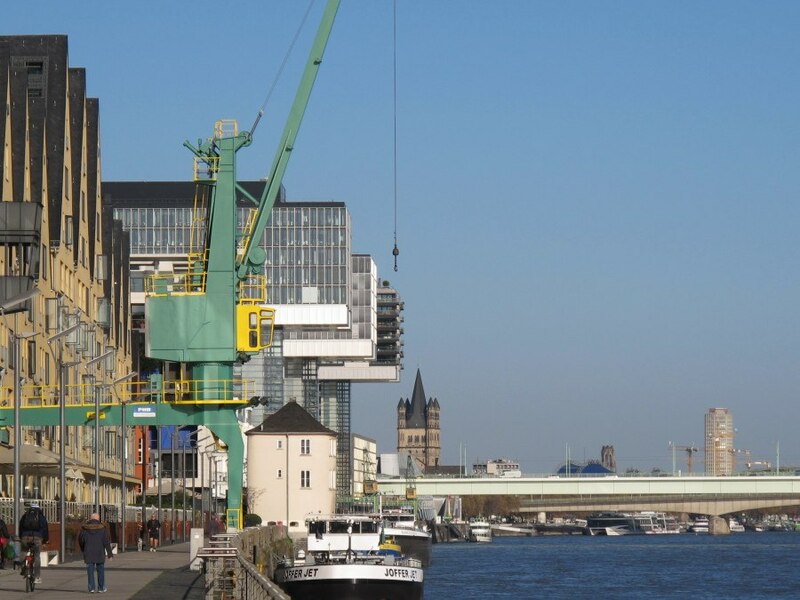 All this has become of the old harbor district where Cologne’s citizens now go and enjoy the spectacular riverfront of the 400 m broad Rhine.